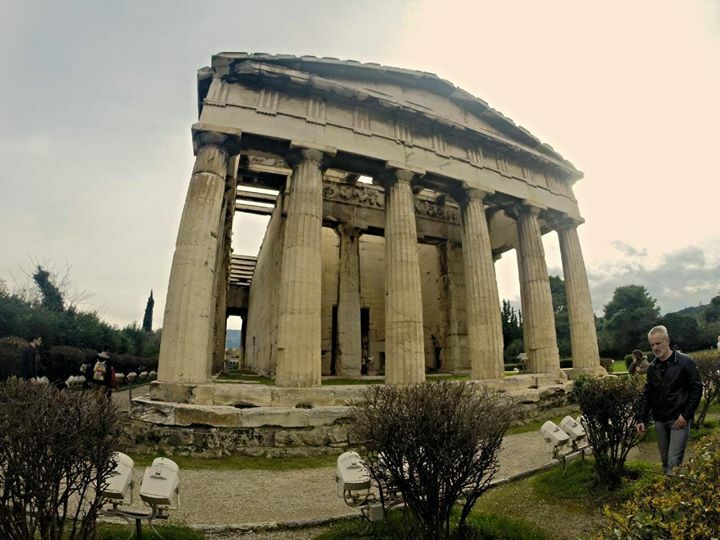 Before I went to Athens I had heard very negative reviews from my friends who said it was a waste of time and advised me to skip it all together. However these were friends who were then going on to party and sunbake on the Greek Islands, so I guess they weren’t in the mood for a busy historical city. Athens surprised me a lot with its beauty, ruins, shops and friendly people and it shouldn’t be cut off the ‘to see’ list. Athens International Airport flies to most cities in Europe. Although if you are coming from the north you may need a connection to find a cheaper flight, as direct ones can be expensive. The airport is 35km from the town and the metro from the airport to the center is 8 Euro and leaves from one level up from arrivals. If you take a taxi it will be expensive- 35-50 Euro so save yourself the cash! Athens Backpackers is a great hostel with bar and is right beside the Acropolis. If you find a place near the Acropolis or especially to the right of it in Plaka area, you are in a good location! However the metro is efficient so don’t worry if you can’t find cheap accommodation in the center. If you’re in the city center it will be hard to miss this beautiful giant ruin on its high walls. From the top you have an amazing view of the whole city. You can buy a ticket to just the Acropolis itself, or a universal one for 12 Euro which includes several other ruins next door which are worth seeing. It is one of the biggest and most imnpressive sights in Greece and is breathtaking! This ruin is just a short 5min walk from within the Acropolis. It is another impressive landmark ruin with historic grounds surrounding it to walk. 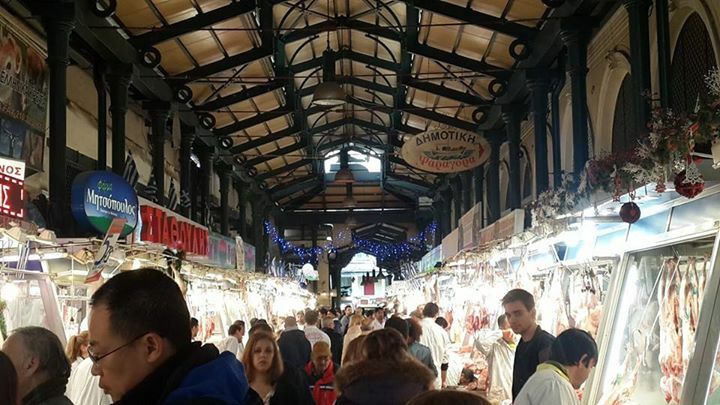 This market is HUGE and takes up several intersections with everything from clothes to meat to flower. Inside it’s a lively whirlwind adventure as locals yell out their best prices and products for all to hear. 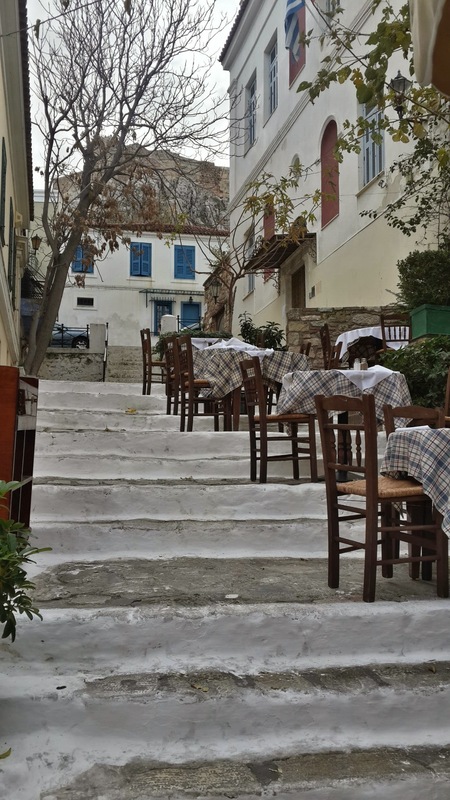 The old town just east of the Acropolis is filled with gorgeous laneways, shops, and cafes placed up and down marble stairways with locals drinking espressos for hours. It’s a great place to wonder around, buy some touristy stuff and see some beautifully run down houses and street art. A lot of people give it a bad wrap for being full of tourists, but I mean a place is always touristy for a reason right? I went in winter and every restaurant was full of locals singing to live music so it seemed pretty authentic to me! It also wasn’t very crowded but I can imagine this would get very busy during summer. The guards of the Royal Palace chanhge every hour, however there is a special march on Sundays at 10:45am worth seeing. 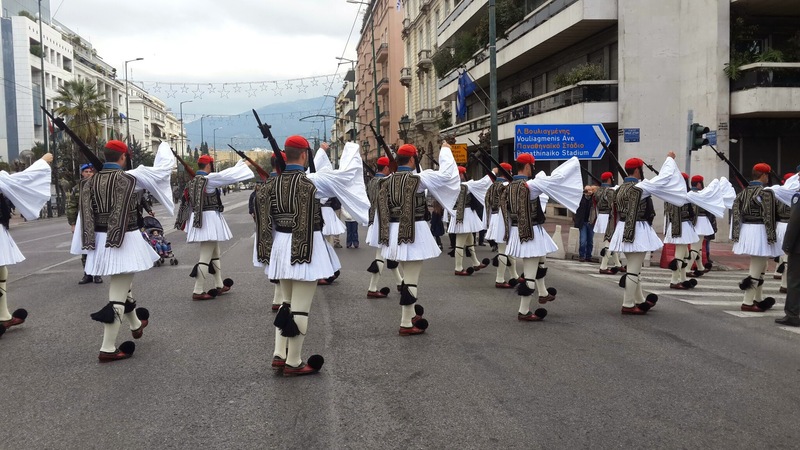 The guards are dressed traditionally and the street is closed off while they march to a big band. From any place in the city you can see the huge mountain with the white church on top. It is the tallest point of Athens. Walk or take the cable car (7 Euro) up and get the greatest panoramic view of all. There is a gorgeous white church at the top and several restaurants that you can eat and drink at- both which have good quality and priced foods. 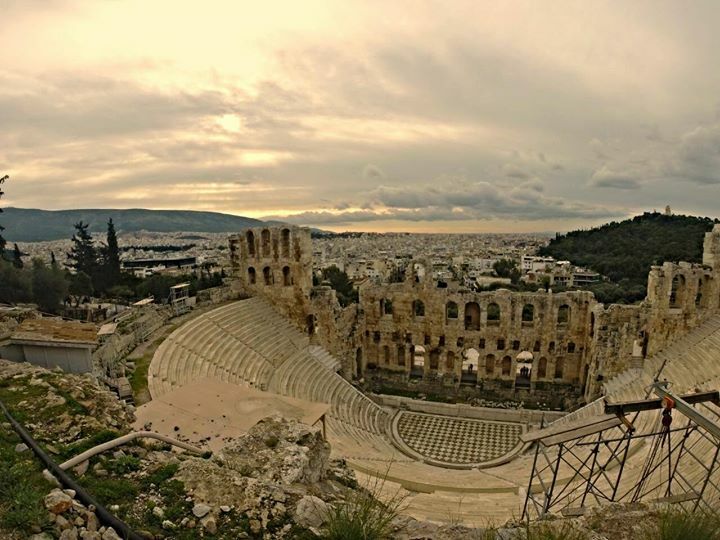 This is included in the ticket for the Acropolis and is a ten minute walk from there. It is quite outstanding and great on a sunny day! 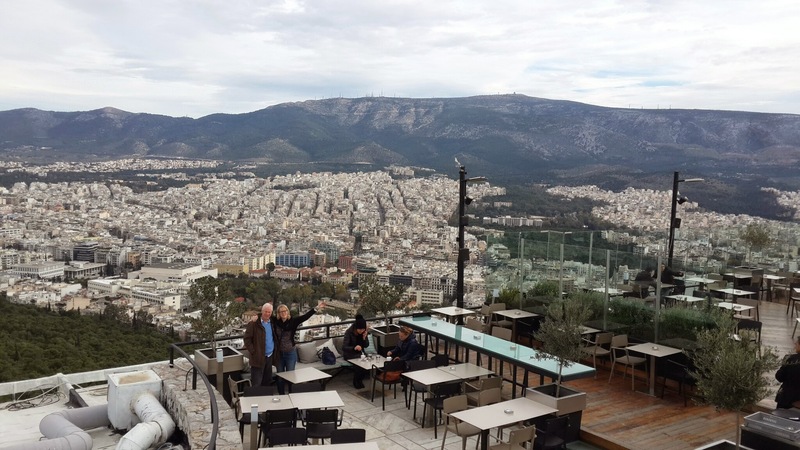 To eat out, I would strongly recommend Manh Manh at 10 Farilou, down from the Acropolis. It is upmarket and local Greek food at a decent price (10 Euro a meal). 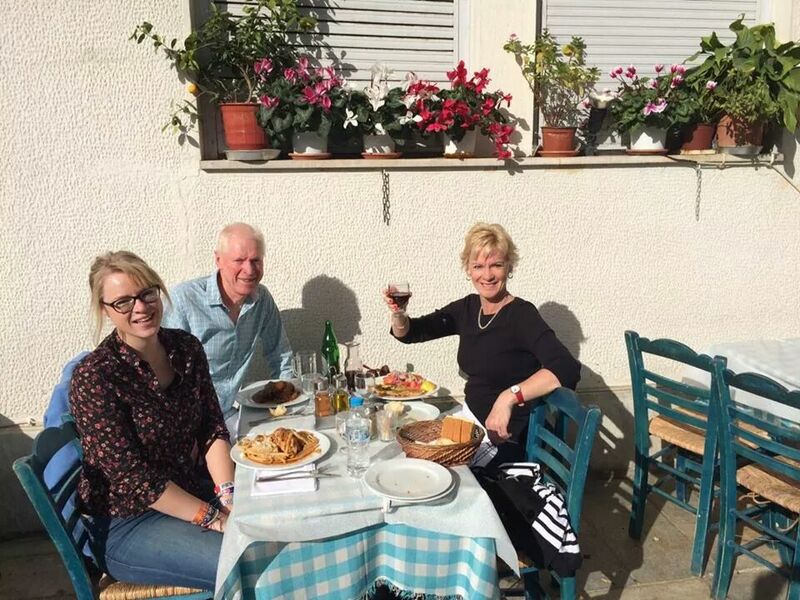 Otherwise find one of the many delicious restaurants in the Plaka area to dine. They will all try to compete for your attention and are great value and quality, often with live music! I would allow two or three full days in Athens to see everything (two if you’re fast, three if you like to sleep in). 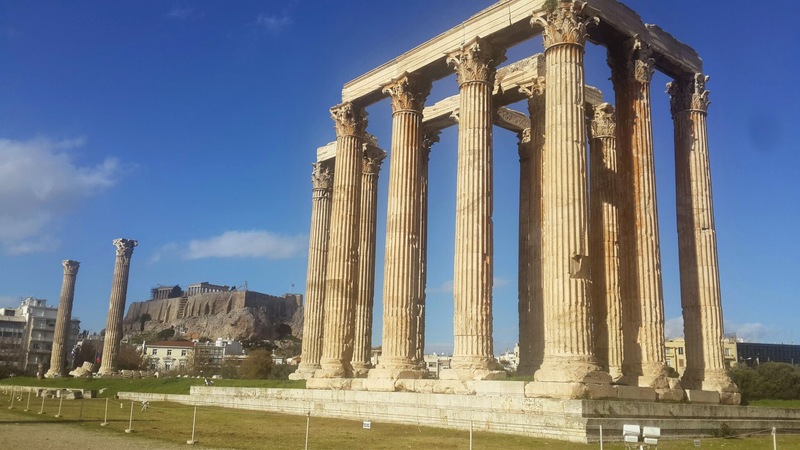 One of the best thing about Athens is the weather- even at Christmas time in winter it was still 15 degrees everyday and sunny, so it is always a great time to visit! 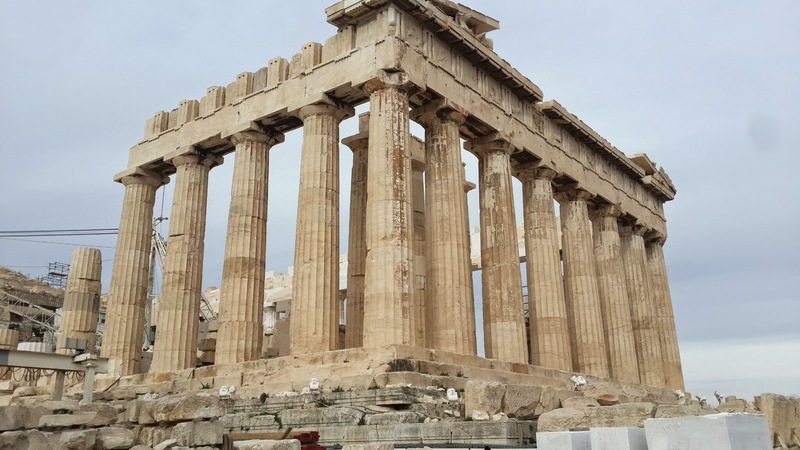 For more information, check out Lonely Planet’s guide to Greece by clicking below. This entry was posted in Greece and tagged Acropolis, Athens, Greece, Greek ruins. Bookmark the permalink.